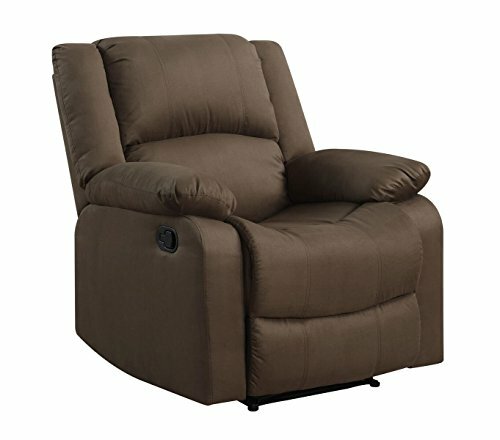 Relax and recline in comfort with the Pearington Lyon Chocolate Recliner. The recliner frame features hardwood and plywood construction. The Lyon recliner comes in a soft durable microfiber fabric. The generously padded back cushion and seat offer excellent comfort and support. This recliner chair is a great fit for any living room.